It always seemed as though Andre Silva was playing with a huge weight around his neck during his one season with AC Milan, but the Portugal striker’s move to Sevilla has seen him show just why Milan spent €38 million to sign him. It doesn’t take a sports psychologist to determine that much of the pressure on the 23-year old last season came due to how much he cost, but a loan move to southern Spain appears to have freed Silva from that – and we’re now seeing what he is capable of. With seven goals in 10 appearances for Sevilla, the striker has proven those doubters wrong that had written him off. 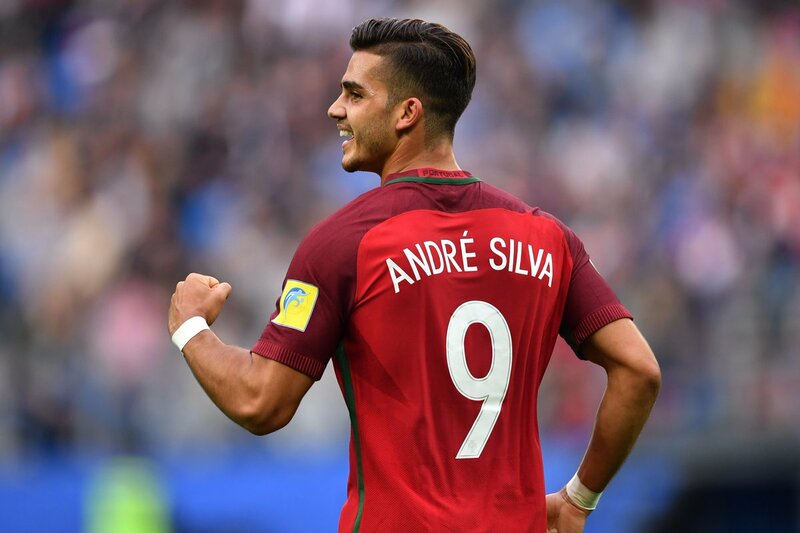 And it hasn’t been just his club football where Silva has been catching the eye, scoring twice for Portugal in their Nations League campaign, which sees them five points clear at the top of Group A3 and priced at around 8/1 with the latest international football betting odds to now go on and win the competition. Now back in contention, Ronaldo’s return certainly won’t hurt the case made by those tipping the Portuguese to go on and be crowned the inaugural Nations League winners. While there had been a worry that Portugal would struggle without Ronaldo in recent games, Silva has been one of those players who has stepped up when it mattered, continuing his impressive club form for his country. Since moving to Sevilla on a season-long loan deal from Milan, a deal that could be turned permanent for €35 million next summer. Based on current form, the Spanish side would be crazy to not take up that option, although it remains to be seen whether Silva is ready to give up on succeeding at Milan. Silva recently admitted he didn’t want to leave Milan in the summer despite scoring only eight goals in 38 appearances for the Rossoneri, conceding he had to leave the Italian giants if he wanted to be more than a bit-part player this year. Now back scoring regularly following his move to the Rojiblancos, Milan may well be regretting their decision to not keep the faith in the man they signed from Porto last year. Given a key role in this Sevilla team, Silva has flourished in all aspect in his game, most notably in front of goal where he has been excellent all season. While Milan are currently enjoying a season-saving return to winning ways, they’ve shown during the early stages of this campaign that they could do with another goalscorer in this team. Gonzalo Higuain has done what he does since arriving in Milan on loan from Juventus, but when you look throughout the rest of the team, you’d be hard pressed to say the addition of the Silva we’re currently seeing for Sevilla wouldn’t significantly strengthen the club’s chances of keeping pace with those teams competing for the title. For now, though, all Silva can keep doing is scoring goals for both club and country – something he looks very likely doing whenever he steps on the pitch at the moment.